Enerklean only supplies solar systems with in-built Wi-Fi systems. On the day of installation, a PV performance monitoring system will be installed on your smart devices by our technicians. To set up your solar panel’s online performance monitoring system, you simply need to download an app on your smart device. As long as you have a reliable Wi-Fi internet connection at your home, your monitoring system will be ready to go. Regardless of where you are in the world, you will be able to check and monitor information regarding your Australian solar power system whenever you have access to the internet. Moreover, our online solar power monitoring tool provides real-time data that will give Australian homeowners and businesses proof and peace of mind that their solar panels are working as efficiently as they should be. In addition, any solar system that is installed by Enerklean will also be monitored by our technical team for immediate fault detection and troubleshooting purposes. 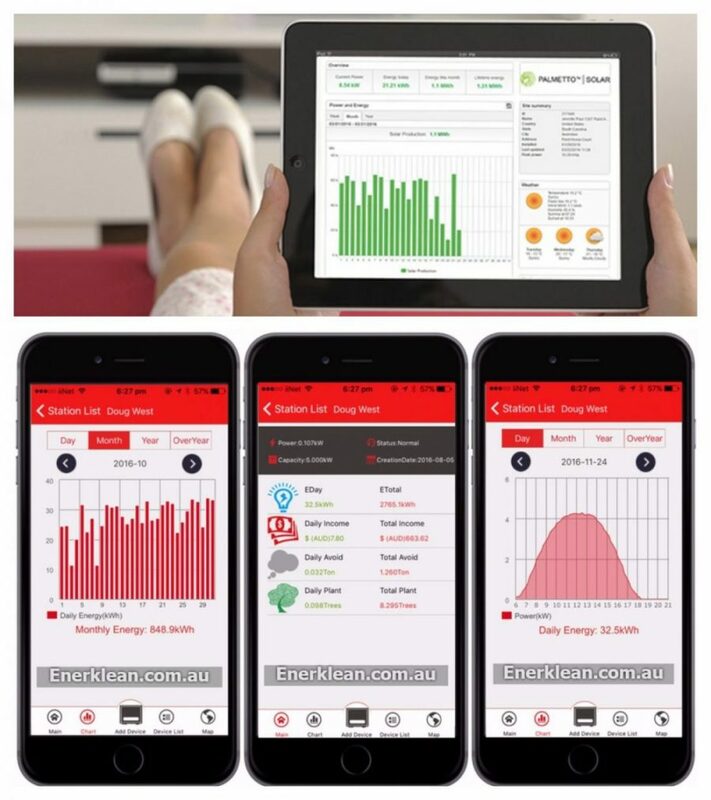 Finally, Enerklean offers effective and reliable solar power solutions to homes and businesses across Australia. Using our effective solar monitoring systems, you can ensure that you get the most out of your solar power system after the day of installation. If you want to reduce your energy costs and go renewable, call us today for a free solar quote. Piece of writing is also excitement. Greetings! Very useful advice in this particular article! Thanks a lot for sharing! Wonderful story, reckoned we could combine a couple of unrelated data, nonetheless genuinely really worth taking a look. Excellent, outstanding!!! We are very happy and satisfied with the whole article. Thank you for this informative article!!! I love looking through your site. Thanks! The information and facts mentioned in the report are a few of the best out there. That was great, thank you! Very couple of websites that happen to be in depth beneath, from my point of view are undoubtedly properly worth checking this out. I believe this blog is worth visiting. I simply want to tell you that I’m very new to blogging and seriously loved your page. Almost certainly I’m going to bookmark your site. You amazingly have fabulous well-written articles. Every once inside, even though I choose blogs that I study.